IBM - 26K7343 IBM - SIMPLE SATA HARD DRIVE EZ SWAP TRAY BRACKET CADDY FOR IBM X SERVER E SERIES (26K7343). NEW BULK. IN STOCK. SHIP SAME DAY. 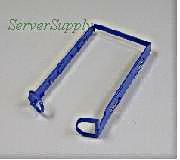 IBM - 26K7343 IBM - SIMPLE SATA HARD DRIVE EZ SWAP TRAY BRACKET CADDY FOR IBM X SERVER E SERIES (26K7343). NEW BULK. IN STOCK.SHIP SAME DAY. Dell - G9146 DELL - 3.5INCH HOT SWAP SAS SATA HARD DRIVE TRAY SLED CADDY FOR POWEREDGE AND POWERVAULT SERVERS (G9146). NEW. IN STOCK. SHIP SAME DAY. Dell - H9122 DELL - 3.5INCH HOT SWAP SAS SATA HARD DRIVE TRAY SLED CADDY FOR POWEREDGE AND POWERVAULT SERVERS (H9122). NEW. IN STOCK. SHIP SAME DAY. Dell - Y973C DELL - 3.5INCH HOT SWAP SAS SATA HARD DRIVE TRAY SLED CADDY FOR POWEREDGE AND POWERVAULT SERVERS. (Y973C). NEW. IN STOCK. SHIP SAME DAY. IBM - 25R8864 IBM - SATA II HARD DRIVE TRAY FOR X SERIES 206M (25R8864). NEW. IN STOCK.SHIP SAME DAY. IBM - 42C7423 IBM - SATA II HARD DRIVE TRAY FOR X SERIES 206M (42C7423). NEW.IN STOCK. SHIP SAME DAY. IBM - 73P8007 IBM - SIMPLE SATA HARD DRIVE EZ SWAP TRAY BRACKET CADDY FOR IBM X SERVER E SERIES (73P8007). REFURBISHED. IN STOCK.SHIP SAME DAY. Generic - SS301031 GENERIC - HOT PLUGGABLE HARD DRIVE TRAY HOLDS A 2.5 X 1 INCH SAS/SATA HARD DRIVE FOR HP PROLIANT SERVERS (SS301031). NEW. IN STOCK. SHIP SAME DAY. Generic - SS201017 GENERIC- SATA II HARD DRIVE TRAY FOR X SERIES 206M (SS201017). NEW. IN STOCK. SHIP SAME DAY. Generic - MP201011 GENERIC - SIMPLE SATA HARD DRIVE EZ SWAP TRAY BRACKET CADDY FOR IBM X SERVER E SERIES (MP201011). REFURBISHED. IN STOCK. . SHIP SAME DAY. Dell - NF467 DELL - 3.5INCH HOT SWAP SAS SATA HARD DRIVE TRAY SLED CADDY FOR POWEREDGE AND POWERVAULT SERVERS (NF467). NEW. IN STOCK. SHIP SAME DAY. Dell - MF666 DELL - 3.5INCH HOT SWAP SAS SATA HARD DRIVE TRAY SLED CADDY FOR POWEREDGE AND POWERVAULT SERVERS (MF666). NEW. IN STOCK. SHIP SAME DAY. 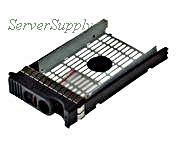 Dell - D981C DELL - 3.5INCH HOT SWAP SAS SATA HARD DRIVE TRAY SLED CADDY FOR POWEREDGE AND POWERVAULT SERVERS (D981C). NEW. IN STOCK. SHIP SAME DAY. Dell - SS601007 GENERIC - 3.5INCH HOT SWAP SAS SATA HARD DRIVE TRAY SLED CADDY FOR POWEREDGE AND POWERVAULT SERVERS (SS601007). NEW. IN STOCK. SHIP SAME DAY. Dell - F9541 DELL - 3.5INCH HOT SWAP SAS SATA HARD DRIVE TRAY SLED CADDY FOR POWEREDGE AND POWERVAULT SERVERS (F9541). NEW. IN STOCK. SHIP SAME DAY. IBM - 42R4130 IBM - 3.5INCH SAS/SATA HARD DRIVE TRAY CARRIER (42R4130). NEW. IN STOCK. SHIP SAME DAY. IBM - 42R4129 IBM - 3.5INCH SATA/SAS HARD DRIVE TRAY WITH SCREWS (42R4129). NEW. IN STOCK. SHIP SAME DAY. Generic - SS301030 GENERIC - HOT PLUGGABLE HARD DRIVE TRAY HOLDS A 3.5 X 1 INCH SAS/SATA DRIVE FOR HP PROLIANT SERVERS (SS301030). NEW. IN STOCK. SHIP SAME DAY. Dell - F238F DELL - ORIGINAL 3.5 IN SAS/SATA TRAY CARRIER (F238F).IN STOCK.SHIP SAME DAY. Dell - G302D DELL - ORIGINAL SAS/SATA HARD DRIVE TRAY FOR DELL POWEREDGE (G302D).IN STOCK.SHIP SAME DAY. 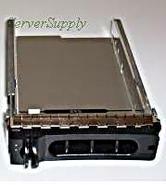 Dell - X968D DELL - ORIGINAL SAS/SATA HARD DRIVE TRAY/CADDY FOR DELL POWEREDGE (X968D).IN STOCK.SHIP SAME DAY. Dell - CC852 DELL - 3.5INCH HOT SWAP SAS SATA HARD DRIVE TRAY SLED CADDY FOR POWEREDGE AND POWERVAULT SERVERS(CC852). REFURBISHED. IN STOCK.SHIP SAME DAY. 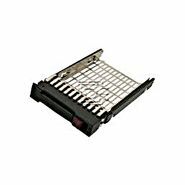 IBM - 42R4131 IBM - 3.5INCH SATA/SAS HARD DRIVE TRAY WITH SCREWS (42R4131). NEW. IN STOCK. SHIP SAME DAY. IBM - 42R4127 IBM - 3.5INCH SATA/SAS HARD DRIVE TRAY WITH SCREWS (42R4127). NEW. IN STOCK. SHIP SAME DAY. Generic - HPPLSATA GENERIC - HOT PLUGGABLE HARD DRIVE TRAY HOLDS A 3.5 X 1 INCH SAS/SATA DRIVE FOR HP PROLIANT SERVERS (HPPLSATA). NEW. IN STOCK. SHIP SAME DAY. Hewlett Packard - 373465-001 HP/COMPAQ - HOT PLUGGABLE HARD DRIVE TRAY HOLDS A 3.5 X 1 INCH SAS/SATA DRIVE FOR HP PROLIANT SERVERS (373465-001). NEW. IN STOCK. SHIP SAME DAY. Hewlett Packard - 335536-001 HP/COMPAQ - SAS SATA HDD TRAY 3.5 W/ SCREWS(335536-001). NEW. IN STOCK.SHIP SAME DAY. Hewlett Packard - J105C DELL - 3.5 INCH HOT SWAP SAS SATA HARD DRIVE TRAY (J105C). NEW. IN STOCK.SHIP SAME DAY. 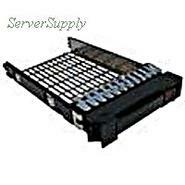 Hewlett Packard - 335537-001 HP/COMPAQ - HP PROLIANT SAS SATA TRAY CARRIER 3.5IN WITH SCREWS(335537-001).NEW. IN STOCK.SHIP SAME DAY. Hewlett Packard - 373211-001 HP/COMPAQ - HOT PLUGGABLE HARD DRIVE TRAY HOLDS A 3.5 X 1 INCH SAS/SATA DRIVE FOR HP PROLIANT SERVERS (373211-001). NEW. IN STOCK. SHIP SAME DAY. Intel - ASR2500SIXDRV INTEL - 6TH SAS/SATA DRIVE KIT FOR SR2500 SERVER CHASSIS (ASR2500SIXDRV). NEW. IN STOCK.SHIP SAME DAY. IBM - 59P5241 IBM - 2.5 INCH SAS-SATA ULTRA 320 HARD DRIVE TRAY(59P5241). REFURBISHED. IN STOCK. SHIP SAME DAY. Hewlett Packard - 371593-001 HP/COMPAQ - 2.5 INCH HOT SWAP SAS/SATA TRAY(371593-001). NEW.IN STOCK.SHIP SAME DAY. CRU - 8011-5500-0610 CRU : DATAPORT V PLUS CARRIER IDE HDD-2-SATA - STORAGE DRIVE CARRIER CADDY MID GRAY (8011-5500-0610). NEW. IN STOCK. SHIP SAME DAY. Compaq - 378625-001 HP DL320 G3 SATA BACKPLANE KIT PN: 378625-001. 372704-B21. CRU - 8411-5000-0500 CRU : DATAPORT V PLUS SATA CARRIER - STORAGE ENCLOSURE 1 X 3.5 - 1/3H INTERNAL BLACK ROHS (8411-5000-0500). NEW. IN STOCK. SHIP SAME DAY. Hewlett Packard - 413985-001 HP/COMPAQ - 8 BAY SAS/SATA HARD DRIVE CAGE FOR PROLIANT (413985-001). REFURBISHED. IN STOCK.SHIP SAME DAY.
. - MB994SP-4S MB994SP-4S Cremax Icy Dock 4 X 2.5 HDD In 1 X 5.25bay SAS SATA Hot Swap Backplane RAID Cage. New Retail Factory Sealed With Full Manufacturer Warranty. Hewlett Packard - 60-261-01 60-261-01 HP SATA DRIVE TRAY 3.5 MSA2 SCREWS. New Bulk Pack.
. - MB453SPF-B MB453SPF-B Cremax Icy DockMB453spf-B 3 In 2 SATA I Ii & Iii Hot-Swap Internal Backplane RAID Cage. New Retail Factory Sealed With Full Manufacturer Warranty. CRU - 6547-5000-0500 CRU - DATA EXPRESS 110 SATA II CARRIER - STORAGE ENCLOSURE 1 X 3.5INCH - 1/3H INTERNAL HOT-SWAPPABLE BLACK (6547-5000-0500).NEW. IN STOCK.SHIP SAME DAY. Hewlett Packard - 60-00000261 60-00000261 HP SATA DRIVE TRAY 3.5 MSA2 SCREWS. New Bulk Pack. IBM - 23K4209 IBM - SATA HOT SWAP DRIVE CAGE WITH CABLES FOR ESERVER XSERIES (23K4209). REFURBISHED. IN STOCK.SHIP SAME DAY. Dell - HN240 HN240 Dell Controller MD1000 Enclosure Management Module SAS SATA. New Bulk Pack. 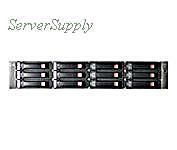 Compaq - 376475-001 HP SAS / SATA BACKPLANE PN: 376475-001. 379090-B21. Crucial Technology - 6546-5000-0500 6546-5000-0500 Cru Data Express 110 Sata Ii Removable Hard Drive Enclosure -Storage Enclosure 1 X 3.5inch 1 3h Internal Hot Swappable Black. New Retail Factory Sealed With Full Manufacturer Warranty. Hewlett Packard - 418408-B21 HP/COMPAQ-12BAYS RACK MOUNT SAS/SATA DRIVE ENCLOSURE STORAGE WORKS MODULAR SMART ARRAY 60 (418408-B21). REFURBISHED.IN STOCK. SHIP SAME DAY. Hewlett Packard - E7W72A E7W72A HP StoreEasy 1440 8TB SATA Storage 1 x Intel Xeon E5-2403 1.80GHz 4 x Totalbays 8TB HDD 4 x 2 TB 8GB RAM Serial ATA 600. New Retail Factory Sealed With Full Manufacturer Warranty. Hewlett Packard - 418408-B21 HP/COMPAQ - 12 BAYS RACK MOUNT SAS/SATA DRIVE ENCLOSURE STORAGE WORKS MODULAR SMART ARRAY 60 (418408-B21).NEW BULK. IN STOCK.SHIP SAME DAY. Hewlett Packard - 671668-001 671668-001 HP D2220sb Storage Blade SAS SATA 12x 2.5'' SFF Gen8 Gen9 QW917A. New Retail Factory Sealed With Full Manufacturer Warranty. Hewlett Packard - B7D89A B7D89A HP StoreEasy 1430 8TB SATA Storage 1 x Intel Core i3 i3 3220T 2.80GHz 4 x Totalbays 8TB HDD 4 x 2 TB 8GB RAM RAID Supported. New Retail Factory Sealed With Full Manufacturer Warranty. 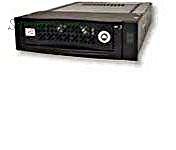 Hewlett Packard - B7E36A B7E36A HP D3600 Storage Enclosure 12bays Sata-600 Sas-2 12 X Hdd 2TB Rack-Mountable 2u. New Bulk Pack. 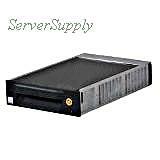 Hewlett Packard - E7W83A E7W83A HP Storeeasy 1640 Nas Server Sata 6GB S SAS 6GB S Serial Attached Scsi 2 3TB. New Retail Factory Sealed With Full Manufacturer Warranty.